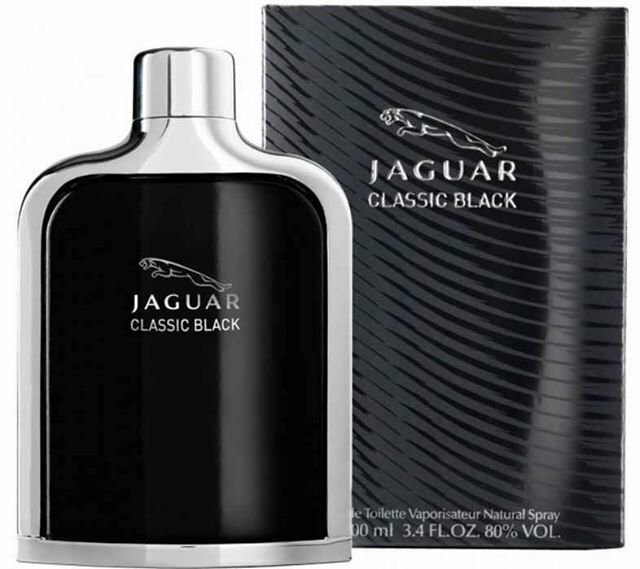 Classic Black by Jaguar is an elegant Fougere oriental fragrance by the British makers of high end cars. The scent is derived from classical compositions, which radiate an aura of refined sophistication, just like the company’s luxury cars. The Eau de Toilette opens with refreshing notes of bitter orange, mandarin, and green apples. In the heart of the fragrance lies an impeccable blend that includes cardamom, geranium, black tea, and musk, along with refreshing marine tones. The EDT closes off with enchanting aromas of cedar, sandalwood, moss, vetiver, tonka, and musk. Master perfumer Dominique Preyssas is the nose behind this distinguished composition. Jaguar Classic Black reviews have been lauded; let this scent speak of itself. Classic Black by Jaguar perfume starts off with a dash of bitter orange, mandarin, and crisp Granny Smith apples. The aroma of the top notes is very refreshing and makes a lovely opening line that garners attention like a witty quip. accords that add to the excitement and intrigue that this bottled elixir brings to your persona. Classic Black by Jaguar’s base has aromatic notes of sandalwood, oakmoss, tonka beans, Virginia cedar, vetiver, and musk. These notes ensure the EDT leaves a strong, but subtle woody, sweet trail that lasts for hours on end.